I had the pleasure of attending a seminar on Thursday at Maslow 6 in Tribeca. The wine shop where I have worked a bit over the past year is one of my favorites in the City and not because it is owned by a friend but because it is warm and inviting, has a friendly and knowledgeable staff and most importantly in a wine shop, great wines at good value. 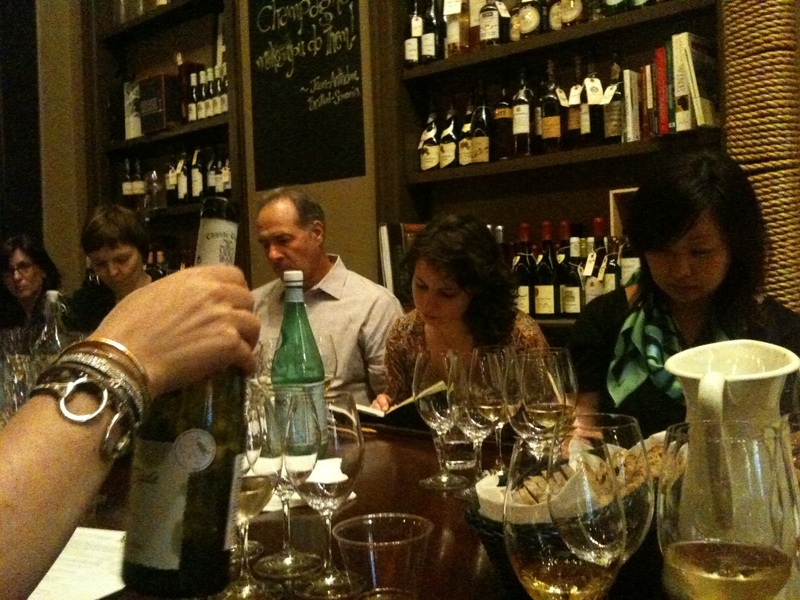 We were a group of 12 who tasted through seven wines from the Rhone Valley. The Rhone Valley I have been told is many a sommelier’s go to region for its wide variety of grape varieties, styles and wines for every budget. We started the evening with two whites from the Rhone, one a white Chateauneuf-du-Pape 2009 made with a blend of Grenache Blanc, Clairette, Roussane and Bourbelenc. It had a lot of stony, minerality and nice acidity. I enjoyed it and could see it with white meats. 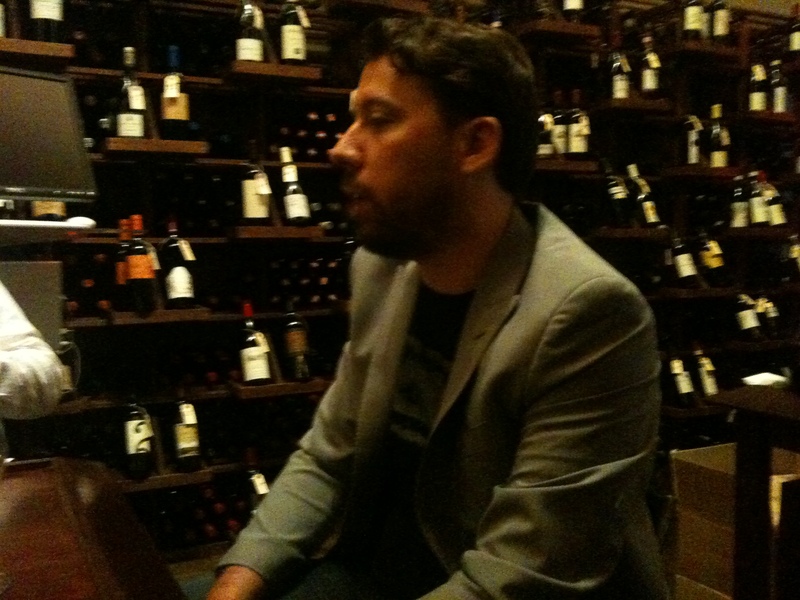 Ryan was incredibly engaging as he discussed the producers, the wines and pairing options. He was also very funny, which I appreciate any day of the week. 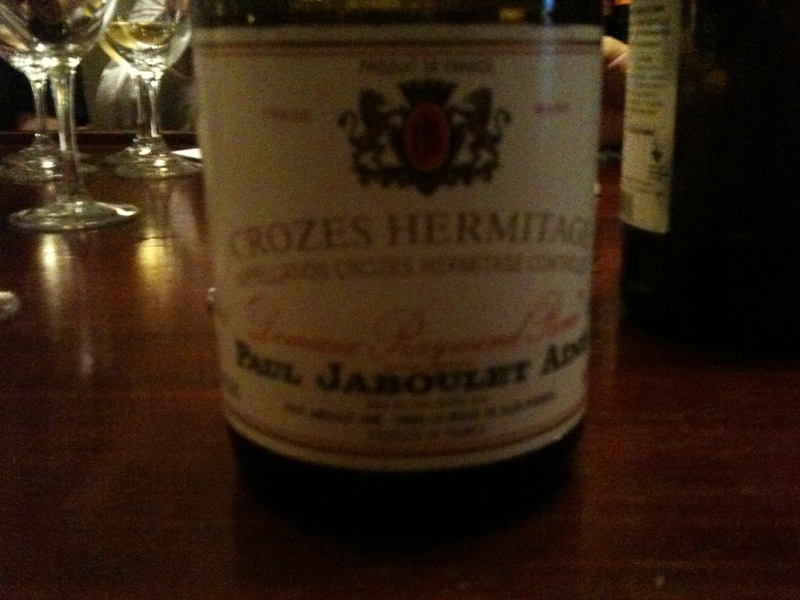 I actually preferred the Paul Jaboulet-Aine “Domaine Raymond Roure” 2003 which was made from 100% Marsanne. I have had very few monovarietal wines made from this grape. This one really impressed me with its tropical fruit notes, honeysuckle flower aromas and its minerality and acidity on the palate. Ryan told us that Marsanne often brings out orange aromas and can sometimes be a bit flabby but this one was anything but. It was racy and had a lanolin, waxy taste that I really like. I could see it with crusted salmon maybe with some dill. Of the numerous reds we tried, broken up into two camps: Syrah based wines from the Northern Rhone and Grenache-based wines from the Southern Rhone, the North won me over this time, although Syrah is never my favorite grape. Of the wines we had the Yves Cuilleron “l’Amarybelle 2008” from Saint-Joseph really stole the show. It had it all: spice, savory notes, red fruits and tobacco. I thought this was a beautiful wine. I bought some and intend to enjoy it Memorial Day weekend at a nice barbecue. It will be worth the wait, of that, I am sure. This is a mission that I wholeheartedly support, as music and art have been a core component of my life. This Sommelier Series is, therefore, a project that speaks to many parts of me and which I will try to attend throughout. I can’t wait until the next sessions on May 24, June 5 and June 9.